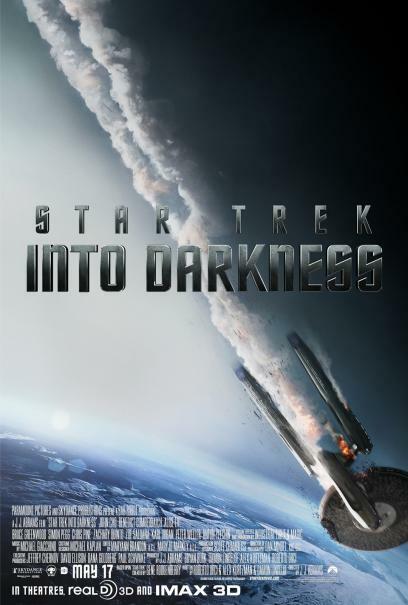 “Star Trek: Into Darkness” – A Christian Perspective | J.W. Wartick -"Always Have a Reason"
I had the chance to go see “Star Trek: Into Darkness” recently. As a big Trekkie (and Star Wars Fan–I cover all the bases of nerdom), I was extremely excited to see the film. Here, I will survey a number of worldview-level issues in the film. There will, of course, be SPOILERS in what follows. I was a bit taken aback by the portrayal of primitive religion in the movie. At the very beginning, the crew of the Enterprise is engaged in an effort to save a primitive indigenous population. Kirk steals a scroll, to which the natives were giving obeisance. It is apparently something they worship, and when he finally unrolls the scroll to slow them down, which causes them to stop and worship, the situation is shown to be absurd. Once the Enterprise reveals itself, however, the natives immediately forsake this scroll and worship an image they draw in the dirt of the ship. I may be a bit hyper-critical here, but I can’t help but think that this picture of primitive religion is a bit off. Sure, it’s science fiction, but the people are clearly human-like and it is easy to uncritically imagine the scene as a facsimile for how human religion may have played out. I cannot help but be extremely skeptical of this scenario. First, the notion of a bunch of simplistic idiots whose faith can shift from one moment to the next was odd. Second, the notion that primitive persons automatically worship whatever they see or cannot explain seems inaccurate. I admit that I have not studied the formation of religion as much as I hope to one day, but even what reading I have done reveals an enormous amount of debate on how religions formed and developed. No work I have read, apart from that of those with clear agendas (and little interaction with the archaeological, sociological, and anthropological evidence), has suggested that religion developed just by people seeing a bird and immediately worshiping it. Granted, the Enterprise is more than a bird, but it still seemed odd. Third, I can’t help but think that rather than immediately forsaking their holy scroll, the people would have turned to it to find guidance to discern the meaning of the events they had witnessed. Again, I realize I am here being extremely critical, but I feel that if a movie is going to engage with religion, it should attempt to do so in an honest fashion. Trek‘s portrayal was, I think, a bit disingenuous. Star Trek’s metaethical system essentially centers around the “Prime Directive.” The Prime Directive is complex, but essentially boils down to the notion that people should not interfere with lesser-developed cultures. Those who have seen “Into Darkness” know that in no way did the main characters follow this. But as Maureen Moser at Reasons to Believe pointed out, the Prime Directive essentially entails a kind of moral relativism wherein no one is capable of judging other cultures as morally evil. But of course this seems absurd. If, for example, one ran into a lesser-developed society which was exterminating certain groups, it seems obvious that this is a morally wrong action. In the case of the film, one is forced to wonder–as it seems Kirk did–whether it really is morally satisfactory to allow an entire society to be destroyed simply for the sake of not being seen by that society. Is it morally right to ignore the fates of other societies? Looking more broadly at the Trek universe one sees again and again that the characters cannot operate within the constrictions of ignoring the ills of other societies. Should we? Admiral Marcus seemed to lack any kind of motivation other than a desire for militarizing the Federation. I thought this was particularly hard to believe, especially when that motivation made him not even hesitate to carry out atrocities in front of his daughter. Frankly, I saw no real reason for him to go as insane as he did, which made this part of the film harder to believe. Khan, of course, was the big “secret” going into the movie. I called it back when the character was first shown. Of course it would be Khan. But why did Khan do what he did? He was fairly clearly motivated by revenge, but there was more to his character behind the scenes. It was revealed that Khan was a war criminal who was conducting a genocide against any whom he found to be “imperfect.” I can’t help but think that this line, was was basically incidental to the plot, is one of the better talking points from the movie. After all, is the destruction of the “imperfect” is exactly what is taking place within our society with issues such as abortion and euthanasia. On the other side, we see the unwillingness to “give a handout” to those who are hungry or in need. Our culture is steeped in a notion where we do not value the “imperfect,” whether they be elderly, unborn, mentally disabled, or poor. Moreover, one must wonder: who defines perfection? I can’t help but think that a character like Khan is not that different from the evils which are occurring each day within our society. When Kirk has given his life to save the crew of the Enterprise, one crew member comments that “It was a miracle.” Spock responds simply, “There are no such things.” I admit that I was baffled by this comment. After all, the series of events which had just occurred in the space of the previous 5 minutes of the film were so over-the-top that the only reasonable explanations were either Hollywood meddling (of course, this was the case) or the hand of the divine. I vividly remember someone a few rows down in the theater audibly scoffing when Spock said this. Why would this be a reaction to a line like this? Well, simply put, some things are so beyond probability, luck, and circumstance that they cry out for explanation. Overall, I enjoyed the film. But I realize that I enjoyed it more as a Trekkie than I did at a worldview level. It seems as though the writers attempted to raise some tough questions, but never got around to providing satisfactory answers. When answers were easy to see (as in the case of miracles), a main character like Spock flatly contradicted it. Those who watch the film with worldview-glasses on will find much to discuss. I think the film is worth seeing simply to start up discussions about miracles, relativism, and even some specific ethical issues. I could see the clip at the beginning used as part of a larger discussion on the history of religion. Of course, as a Trekkie, I also think it is worth seeing for the sake of its place in the Star Trek canon. Let me know what you think. Be sure to check out my other posts on movies (scroll down for more). Star Trek’s Prime Directive and Moral Relativism– I found this post fascinating. It explores the Trek universe to discuss the metaethical view of relativism. Good reflection on the movie. With regard to the primitive religion, I think this was influenced by the formation of the cargo cults which is a very interesting case in religion. Fascinating. Thanks for bringing that up. From now on I think I will read your reviews before I go to the theater – you may save me some money. You brought up something that struck a chord with me. You mentioned how “the writers attempted to raise some tough questions.” It seems to me that “questions” are all those with a relativistic world view can deliver. Yes, it is interesting because it is clear that the characters operate as though there is a real right and wrong, all while espousing commitment to the Prime Directive. The Prime Directive was only mentioned in passing, and the movie’s focus was elsewhere, but it seems clear that it is an untenable ethical code. Well said. I too thought the portrayal of religion and the scoffing at miracles seems silly at best. Stop me if I’m wrong, but didn’t Rodenberry specifically craft Star Trek as a future based on humanist values? That is correct. However, Roddenberry was never afraid to let his writers explore religious themes. Consider Kirk’s comment when they ment the “god” Apollo in “Who Mourns for Adonais?”, “Mankind has no need of gods. We find the one quite sufficient.” Also, Spock’s line about “there are no such things [as miracles]” seems especially odd, considering a line Spock once uttered in (I believe it was) “This Side of Paradise,” after a tricky beam-up: Scotty said, “thank God!” Spock replied, “there was no deity involved. It was simply my rerouting to B that saved him.” This line didn’t discount the possibility of any god existing, just that Spock was insisting Scotty give credit where it is due. However, Spock’s line in the movie was clearly indicative of a humanistic worldview. Well, it’s quite apparent that you are indeed a Trekkie rather than a Trekker 🙂 If you’ve watched the majority of episodes in all it’s incarnations, or read a few of the books, you’d have the answers to your ‘conundrums’. The point of science fiction is to ‘suspend belief’. Perhaps if you see the film again you might understand the Trek Universe a bit better, which is NOT our universe. The writers didn’t attempt to raise tough questions or any other controversies. They wrote a commercially viable movie to appeal to a broader audience than just Trek fans. 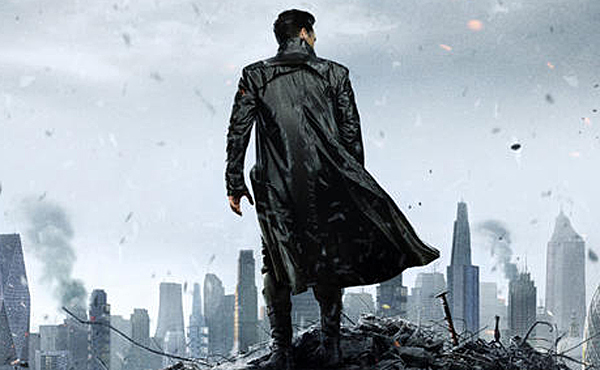 There is a series of books called “The Eugenics Wars: The Rise and Fall of Khan Noonien Singh”. Very interesting read and the whole back story of Khan. I think these would answer all your questions/doubts about the Khan character. I have actually seen all of TNG, Deep Space Nine, Voyager, and the vast majority of the original series. And frankly, I expect more from sci fi then simple entertainment. It is a genre fully capable of exploring the bigger questions. I acknowledge that this movie is not our universe, but that doesn’t excuse it from plausibility. All that said, I enjoyed the movie quite a bit. My point is just that it seems better at raising questions than at answering them. I know I’ll sound like an old guy, but J.J. Abrams just doesn’t get Star Trek. Maybe that’s just fine because he is searching for a new and younger audience that probably doesn’t get Star Trek either. Star Trek was never about the special effects or action. Most of the best Trek stories from all of the television shows (TOS through Enterprise) didn’t rely on either. Action and special effects were always there, but they were used to tell a story instead of becoming the story. To be fair, there is one thing to like about the new Star Trek reboot. The cast is great, and it is easy to see the original actors through them. After that, I’m over this thing. It is just an action movie series using Star Trek’s name to sell tickets. If you think this is great science fiction in the Star Trek universe, then enjoy it. If you are looking for something more and want to really understand what Star Trek is about then queue up “Measure of a Man” from TNG, just one of many classic Star Trek episodes that expose this new “reboot” for the sham that it is. Gene Roddenberry would be ashamed. Thanks for stopping by! I agree to some extent and have pretty much treated these movies as glorified fan fiction. It’s an alternative universe and one in which everything is wonky compared to how Star Trek works elsewhere. This hasn’t diminished my enjoyment of the movies. As for “The Measure of a Man,” I’ve actually been watching TNG straight through. I wrote a post on this exact episode on here related to the philosophy behind the episode. I also put up episode reviews on my other interests site and you can read my review of the episode here.